The industry is back to full-strength on its fund-raising judging from our virtual postbag this week with many new reports of good work being done by great agents. 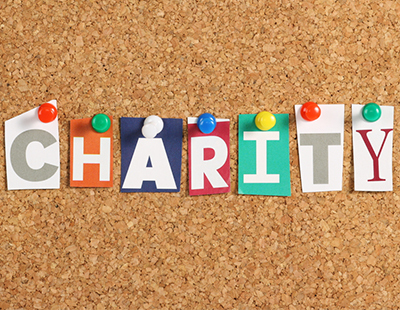 If you want to share your charity activities, drop us a line at press@estateagenttoday.co.uk and we’ll do the rest. 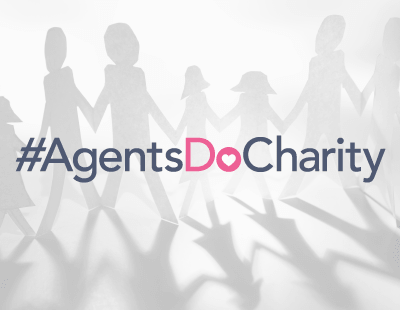 Agents Giving: The Agents Giving grant fund helps towards the set up costs of your fundraising event, so more of the money you raise goes to your chosen charity. Applying for a grant is simple and requests should be made in advance of your fundraising event as Agents Giving will also help you with the promotion. Hammond Property Services - these Nottinghamshire agents are planning many events throughout the year and to celebrate their 30th anniversary they are supporting Guide Dogs and are raising £5,000 to train a guide dog named Pearl. Their next event is the annual quiz night in Bingham which Agents Giving is supporting with a grant towards the evening’s costs. Paul Wood from Pygott & Crone - he’s raising money for the St Barnabus Charity in Lincolnshire who deliver free, high quality compassionate end of life care and support to more than 10,500 adults with a life-limiting or terminal illness and their family. Paul is rallying the troops to take part in the Lincolnshire 10k marathon with 64 runners signed up so far from nine branches. Agents Giving helped towards their entry fees and t-shirts, so more of the money they raise will go direct to this wonderful cause. Oliver & Akers Estate Agents in St Albans -owners Anthony Oliver and Vic Akers are organising their 5th annual charity golf day in aid of Macmillan Cancer Care, and have invited 120 gofers to enjoy a day of golf, dinner and charity auction. They are hoping to beat the £7,000 raised at the same event last year, Agents Giving has supported them with a grant to help with their golf day costs. 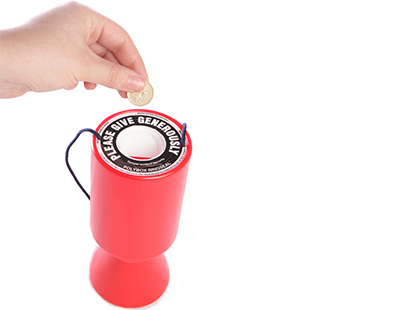 Plan your next charity event and apply for an Agents Giving grant to help you with your costs. Any requests should be made via a registration form on the Agents Giving website. To apply for a grant you must be fundraising for UK registered charities. For more information on The Agents Giving Grant Fund, please contact Agents Giving – Tel: 01372 370895 / or info@agentsgiving.org or visit www.agentsgiving.org. Make-A-Wish UK: ’Rumble with the Agents’, the annual white-collar charity boxing event hosted by Landlord Action is set to return for the fifth year running. This is a unique opportunity for people with no boxing background to experience the wonderful world of boxing, in a safe and enjoyable environment. It is an opportunity to get fit, learn a new sport, meet new people and gain a real sense of achievement. Most importantly, the focus of this year’s event is to raise enough money to grant at least five critically ill children one life-changing and transformational wish each, which will be announced on the night. Participants are not required to have any previous experience as a free fully structured and supervised boxing training program to ensure high levels of physical fitness and teach participants the correct techniques will be provided by BOXR in north London. With some places already taken, remaining spaces are on a first come first serve basis and compulsory training session will begin in February. Rumble with the Agents 2019, hosted by Landlord Action and sponsored by Hamilton Fraser, will take place on May 23 in London. To find out more, volunteer to take part, buy tickets or donate something for the raffle/ auction please email Rita Shamplina on info@rumblewiththeagents.co.uk or call 07790 569501. Tickets to attend ‘Rumble with the Agents’ are now on sale. CLIC Sargent: Sequence has raised nearly £18,000 in 2018 for CLIC Sargent, the UK’s leading charity for children and young people with cancer and their families. This marks the second highest fundraising year to date in the partnership which Sequence has been supporting since 2001, raising in excess of £421,578 over its course. NSPCC: Connells has raised nearly £27,000 for the National Society for the Prevention of Cruelty to Children. This year’s fundraising took many forms including the annual Connells Partner’s Ball, bake sales, dress down days and the 2018 Gherkin Challenge – where over 50 staff took on the 1,037 steps of the iconic London landmark. This figure goes towards the £136,537 raised for the charity over the course of the 16 year partnership. Ocean City Running Series: Lawson Estate Agents has renewed its partnership with the organisers of the 5k, 10k and Half Marathon road races in Plymouth. The agency will be main sponsors for the Plymouth 5K event on October 6 and to mark the agency’s new direction as a family estate agent, there will be a special ‘fastest family’ category. Entrants must be at least 11 years of age and a minimum of three family members must enter. The team can consist of parents and siblings, or grandparent, sibling and grandchildren. It is the first community sponsorship deal the agency has agreed since it changed its name from Mansbridge Balment Plymouth, marking a new era for the business. “The Lawson estate agent brand reflects our incredibly strong connection to Plymouth. We are as much a family as we are a business, which is why effective community engagement has always been so important to us,” says managing director Darren Lawson. Leeds Mind: A sell-out inaugural Mental Health Pub Quiz has raised over £25,000 for charities Leeds Mind and The Market Place. what a lovely lot of kind and generous people - makes me feel proud!